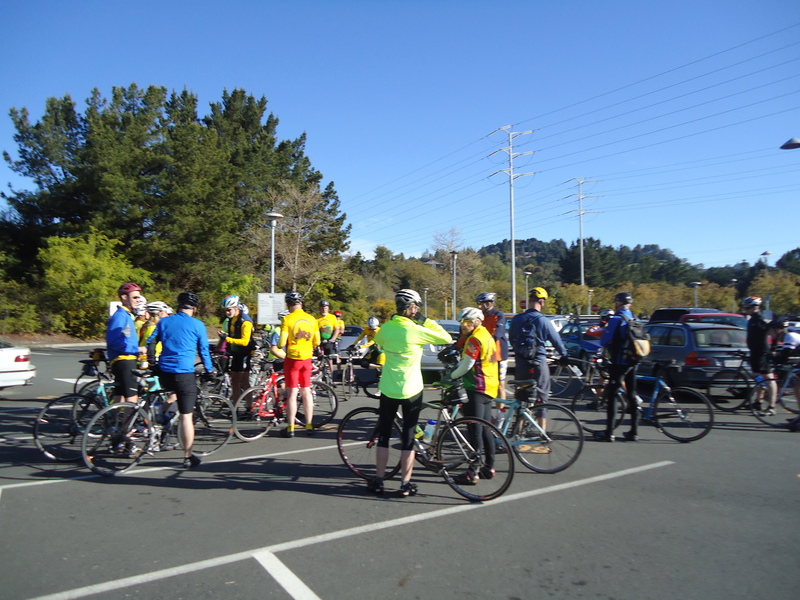 Today’s Century prep ride meets up at the Orinda BART parking lot. The route will take us around the GPC Century’s south loop. Water and restrooms are available inside the station. 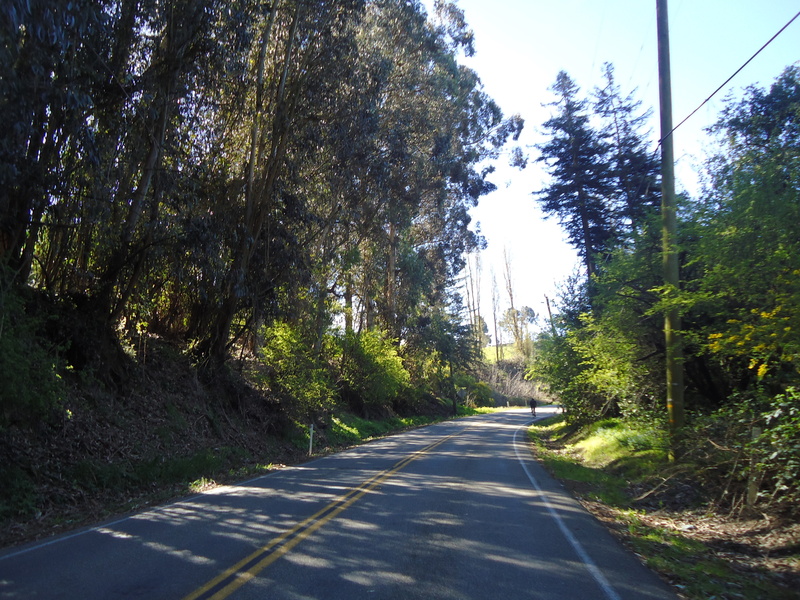 We ride along Moraga Way for the next 4.7 miles to Canyon Rd. 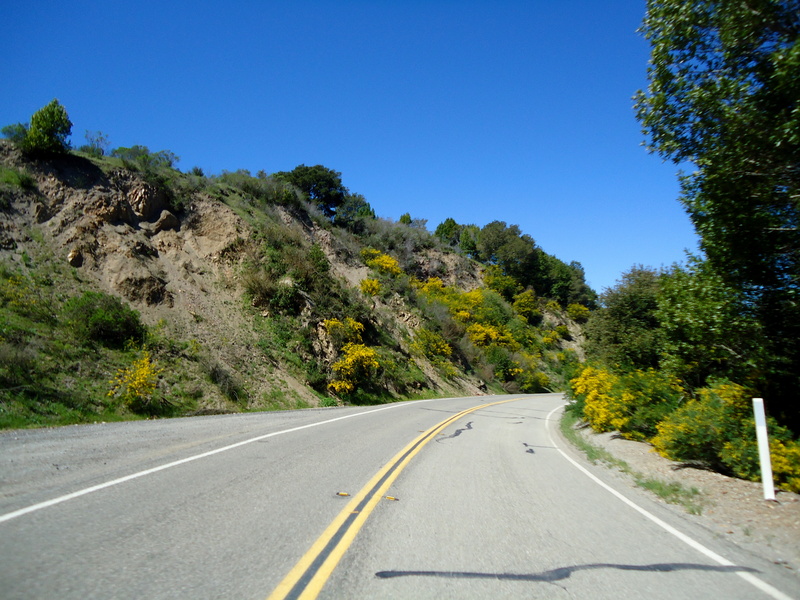 There are two short climbs on Canyon before we reach Pinehurst Rd. The climb up Pinehurst heading south is almost 1.5 miles long with an average grade of 3%. 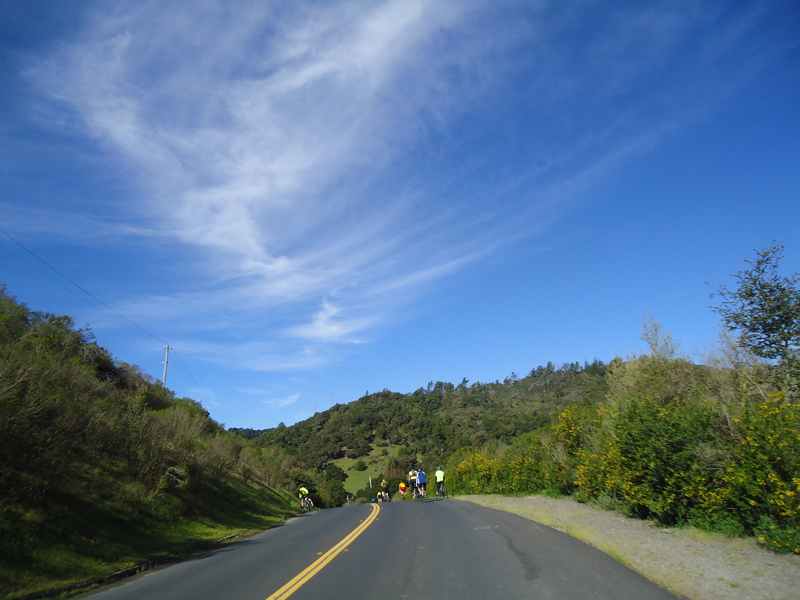 It’s a nice descent to Redwood Rd. The route continues east on Redwood Rd for 2.5 miles. It’s a gentle 3-4% climb on a beautiful road with a short steep pitch as you near the top. There is a brief regroup at the intersection at Skyline Blvd. 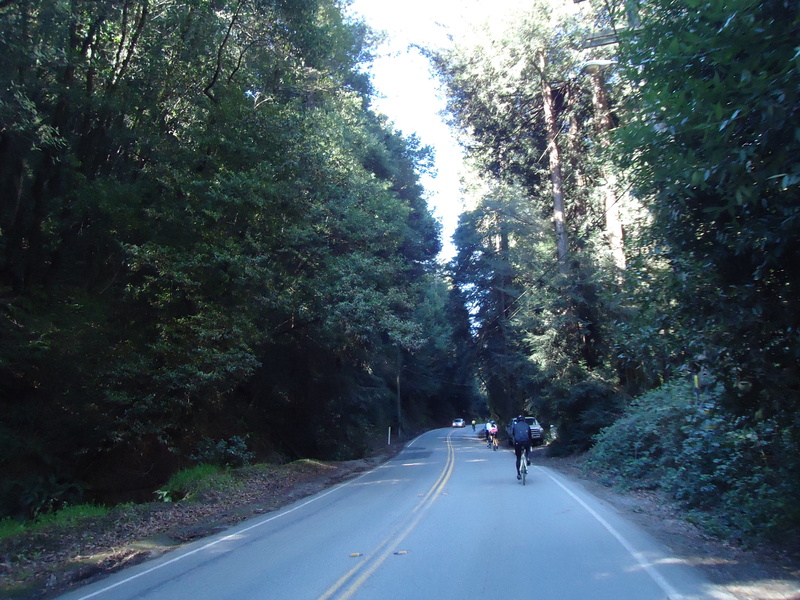 We head south on Skyline Blvd for the next 4.6 miles. There are several climbs and big rollers along this stretch of road. The views are spectacular along the top of the ridge! 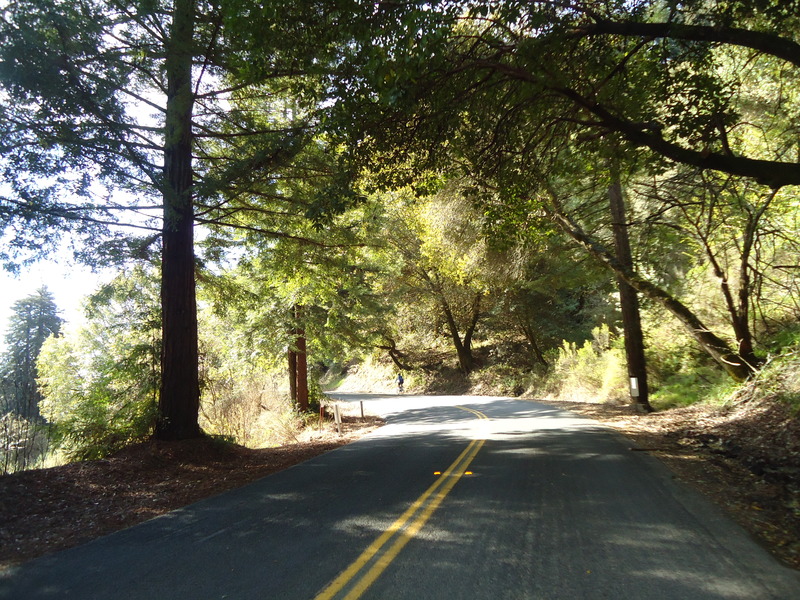 The turn on Grass Valley is absolutely beautiful with all the eucalyptus trees lining both sides of the road. The fast descent on Golf Links Rd takes us down to Mountain Blvd. 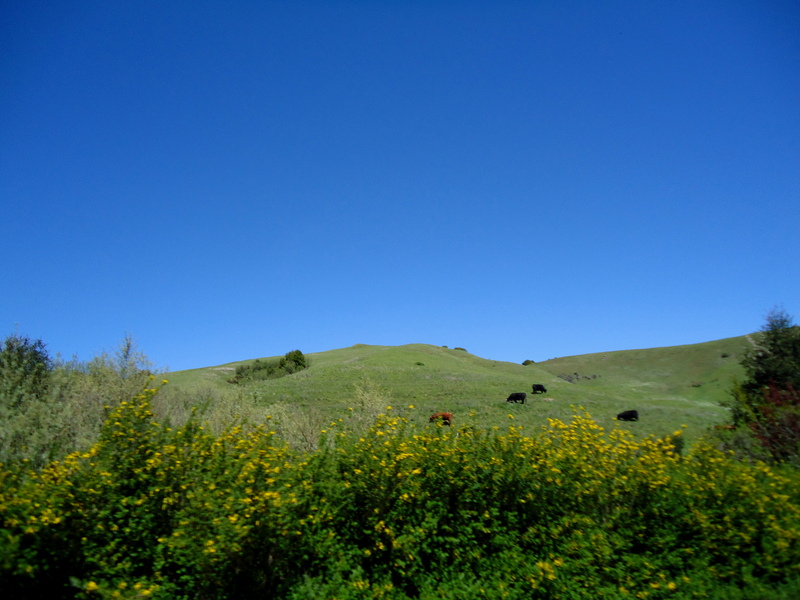 We take a left and continue through The Zoo at Knowland Park. There is a half mile climb up towards the Snow Building before we drop through the back side of the zoo; it’s a steep descent onto 106th Ave. Watch out for the tire spikes as you exit the park! 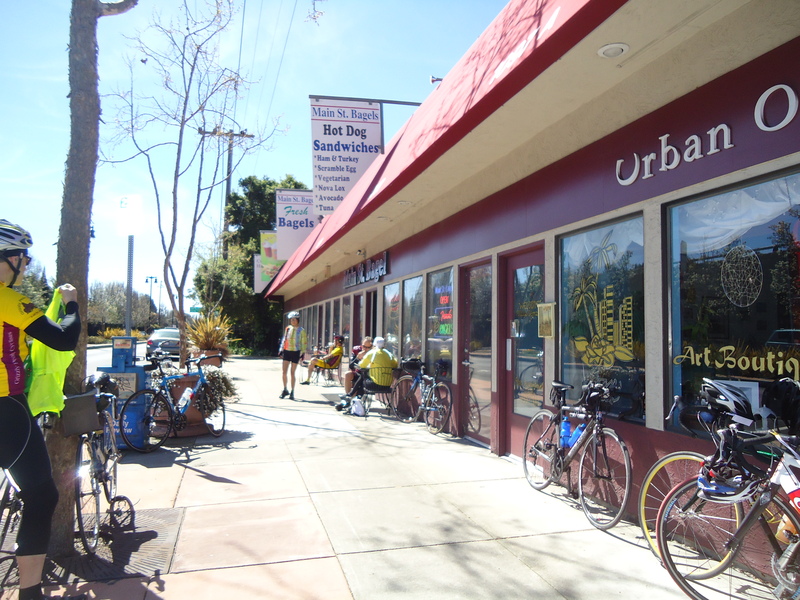 We stopped at Main St Bagels on MacArthur Blvd for a snack while others chose to stop at Starbucks. The rear patio is a nice place to put your feet up and take in the sunshine.You can smell the sweetly scented Jasmine on the vines and hear the rush of the water along the creek. It’s great! 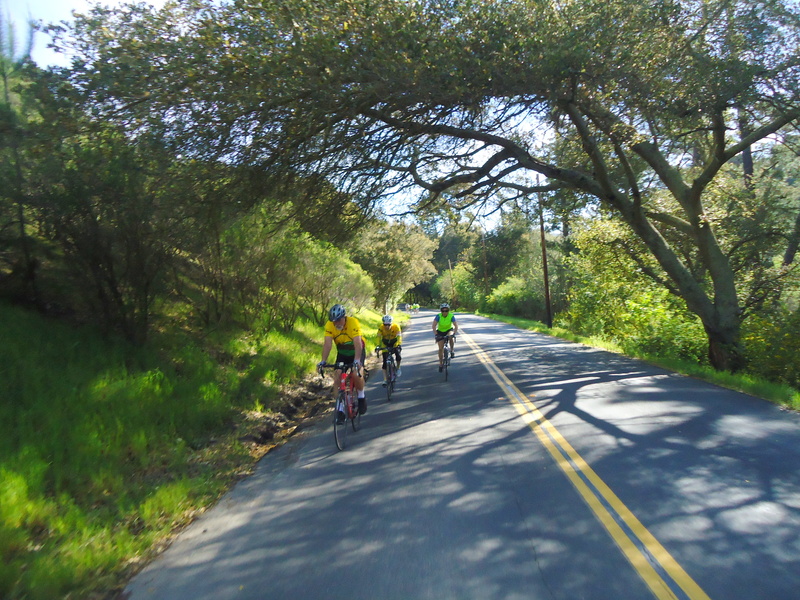 The second half of the route takes us on Estudillo to Lake Chabot Rd for the next few miles. 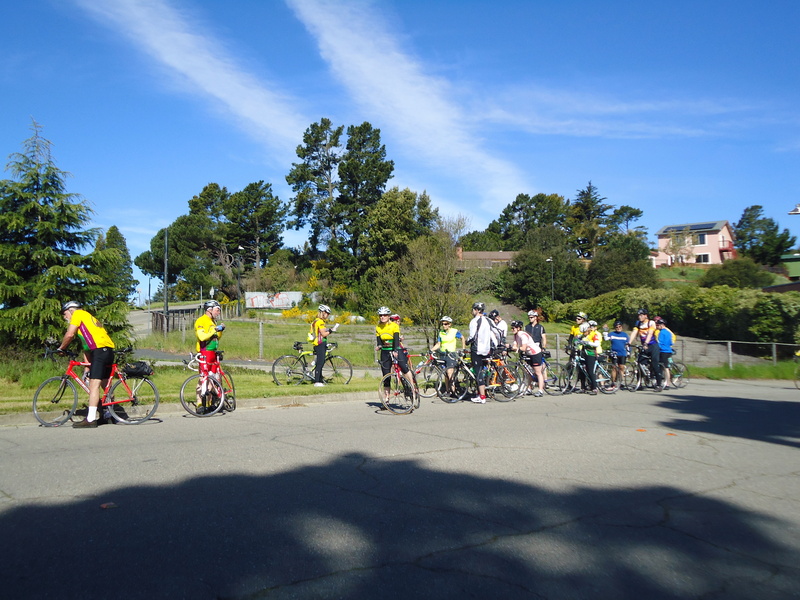 There a two climbs up Lake Chabot before the road levels out all the way into Castro Valley. 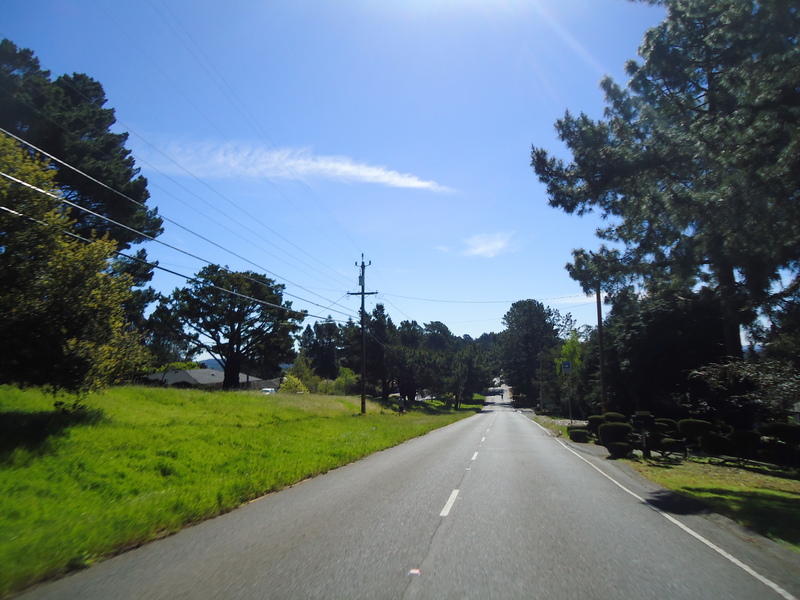 We continue on Lake Chabot Rd to Quail and Walnut Ave. 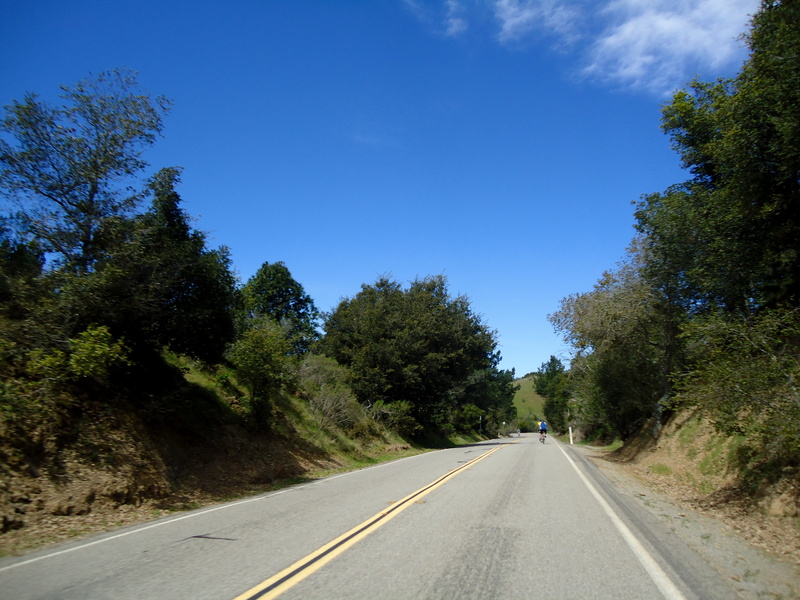 The climb up Walnut is less than one mile; the average grade is around 5% with sections maxing out at 9-10%. The turn on Proctor Rd takes us to Redwood Rd. 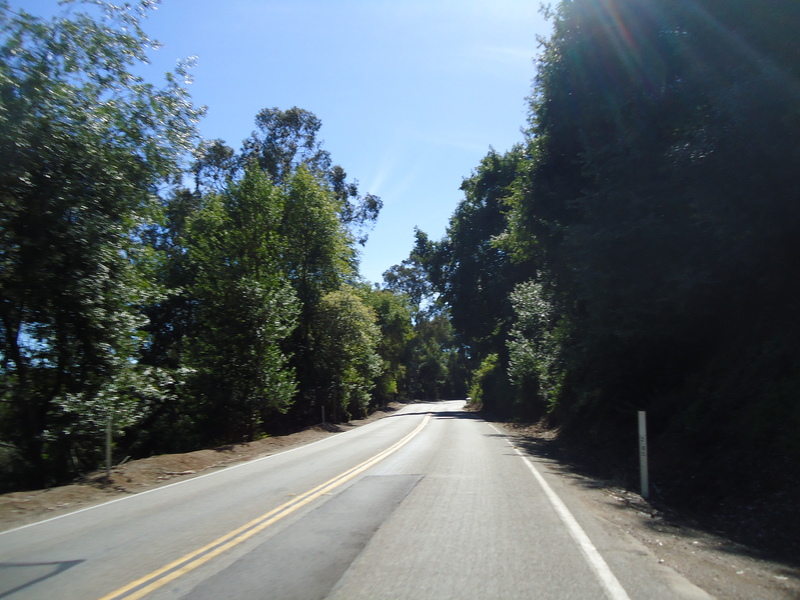 The climb on south Redwood Rd starts after you cross the bridge; it’s about 3+ miles with an average grade of 4% with sections hitting 6-7%. It can get pretty warm back here; there is not much shade at all. The road levels off as you reach Marciel Gate. Thereafter, it’s a series of descents and small rollers in between. 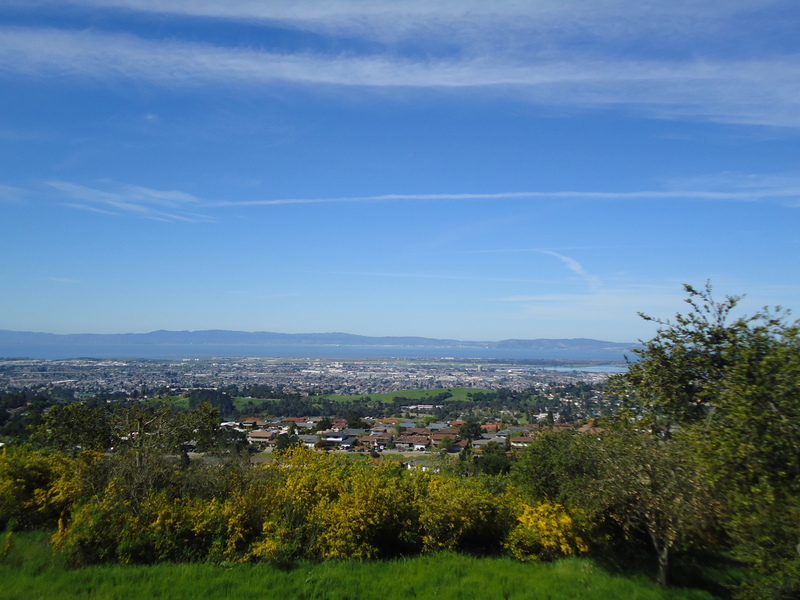 Once you pass Bort Meadow, it’s a fun and fast descent all the way to Pinehurst Rd. Now we’re back at Pinehurst and Redwood. 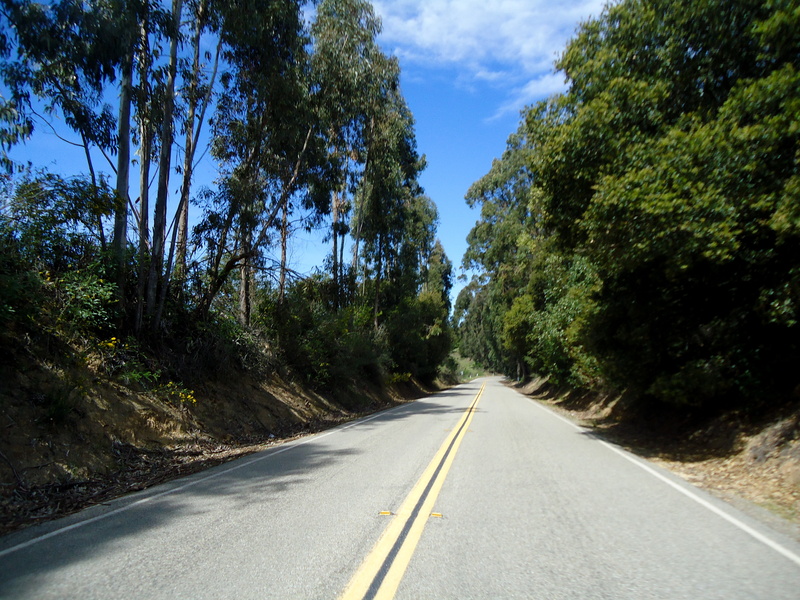 The climb up Pinehurst heading north is about 1.5 miles with an average grade of over 3%. There is one steep section of about 8-9% as you approach the top near Pinehurst Gate. Watch out for gravel and debris while descending the very tight turns on this narrow road! 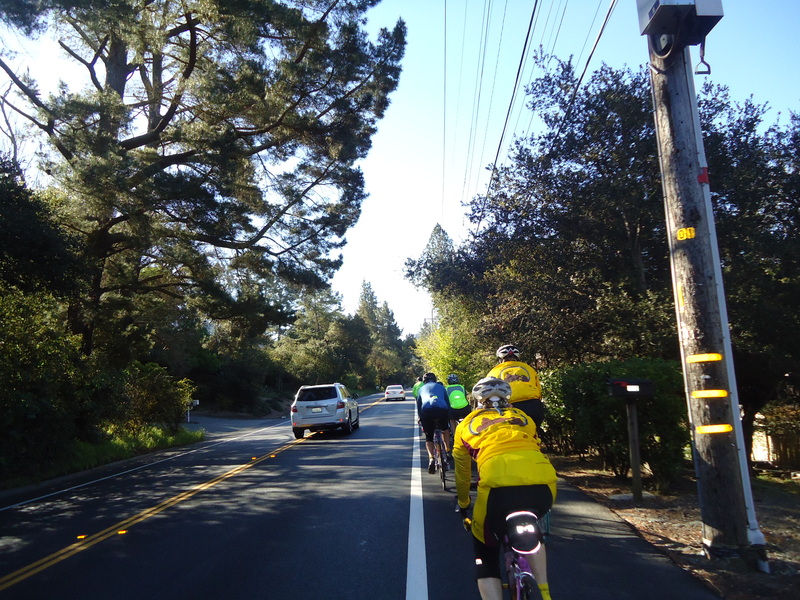 We turn on Canyon Rd and continue on Moraga Way back to Orinda BART. Thanks to Barb, Elia, Charlie and Ross for leading today’s ride! It was a fabulous day to be out riding with the group.